Toys and Essentials. Kids look good and adorable when they smile. Save big on baby clothing, kids’ toys and newborn essentials with amazing coupons and deals available at Kiindly, one of the top cashback websites in the US. 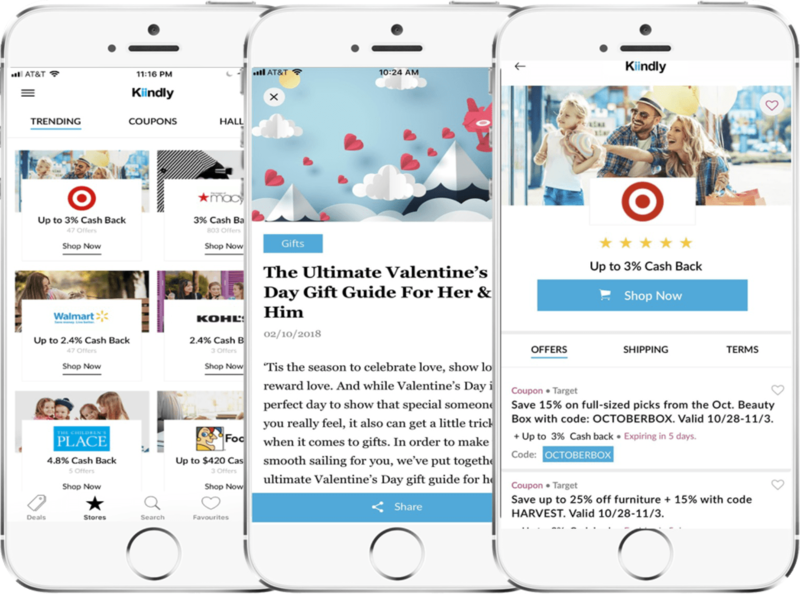 Kiindly partners with the top-notch brands like The Children's Place, Jet, 800 Bear.com, alexandalexa, Aliexpress, bloomingdales, Boscovs offering kid’s dresses, toys, essentials and school supplies. Browse top deals on baby gifts, clothes, baby shower gifts, bathing, bedding, décor, baby gear, health and safety products, and school supplies, to name a few. Availability of handpicked online deals from leading vendors makes it easier for consumers to find the right items matching their kid’s age, health, interests and hobbies.Check discount promo codes under deals of the day, lightning deals and other sections to know about the trending offers.